This week at Take a Word the theme is VINTAGE FASHION. The 1920s is one of my favorite fashion eras. To depict it I chose Lee Miller who in the following decades did much more than modelling for Vogue. Elegant ladies in beautiful classy style. Fashions in the 1920's were so elegant. What a wonderful collection of beautifully clothed ladies. I love the sharpness of your black and white collage. Magnificent. The 20's are my favorite style period, and this is a wonderful black and white tribute to that era! 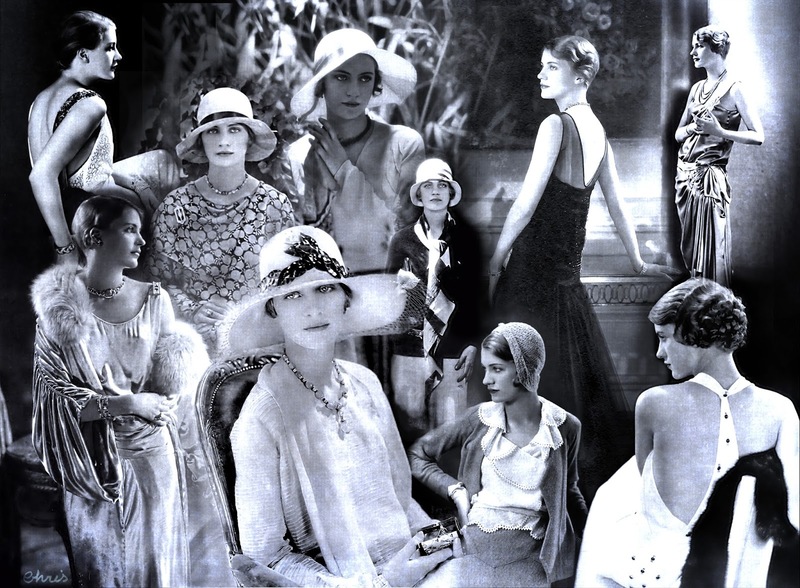 What a wonderful collage love all the elegant clothes...excellent. Beautiful, classy looking ladies, Christine!